There's nothing more wonderful or luxurious than wood flooring in a home. The look is classic and, if treated properly, your wood floor will probably be the last flooring choice you will ever have to make. 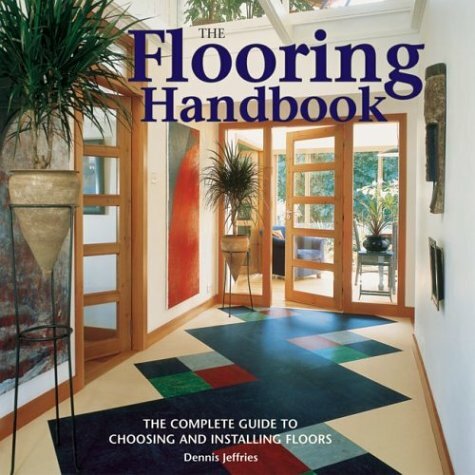 But there are more than a few hazards to selecting the right flooring and flooring installers. Here are a few common mistakes that occur when installing wood floors, with tips to avoid them. If you want a perfect floor, don't choose wood if your home houses children and/or pets. Wood scratches, stains and chips. You can minimize that by choosing a harder finish, but it will not stay perfect. Many wood flooring lovers don't mind that lived-in look. If you want perfection, there are other choices such as some of the newer tile options that look like wood. Also carefully consider the type of wood. Some woods such as oak and maple are hard and can take a beating. Others like pine are soft and show every heel mark. Decide what you can live with before you make your final choice. Some areas of the country have a climate that can handle any kind of wood flooring. Most companies will tell you to keep the flooring materials on site for a few days before installing it so that it can acclimate to its new environment. But some areas such as the dry desert in the southwest, are not good for wood. In that part of the country, engineered hardwood flooring or a laminate are better choices. Like climate, your subfloor may dictate the best wood flooring choice. For example, a concrete slab does best with engineered hardwood. The substructure of this type of hardwood flooring can handle the demands of a concrete base without warping. You may have heard about the disastrous results when some “Made in China” laminates did not meet the specifications claimed on the boxes. Unfortunately, many countries don't require products to meet the United States standards like truth in packaging. When you are selecting something for your home that will be a permanent addition, you may want to buy from a well-known and respected firm. Larger purchasing operations such as warehouse stores can often offer you noticeable price discounts. When it comes to wood flooring, be sure to hire installers with a good reputation. Taking the lowest bid can be an expensive proposition in the long run. Shoddy or inexpert installation can lead to flooring that squeaks or has gaps between the wood. You don't want to feel the subfloor every time you walk across the room. A poorly-installed wood floor is a disappointment that will last as long as you own your home. Will the installers remove your current baseboards before installing your wood flooring and then re-install them? Are you happy with your current baseboards? The cost of new baseboards is minimal and this is the perfect time to upgrade. And don't let the installers talk you into leaving your baseboards alone and installing quarter-round to cover the edges of your boards. 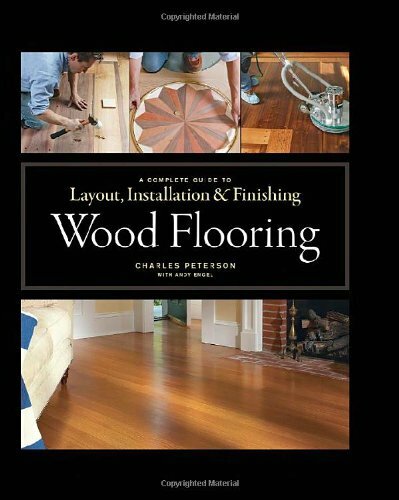 This is a short-cut for them and not an appropriate finish for your wood flooring. Is your flooring going into a finished home or a new home? If this is a renovation on a finished home, do yourself a favor and choose pre-finished wood flooring. Installing, sanding, staining and finishing wood flooring in your home, no matter how carefully they seal the room, creates a sawdust disaster in the rest of your home. Today's factory-finished wood flooring (engineered hardwood) is just as lovely and professional as any floor finished in a home. Choosing the right hardwood flooring for your home involves more than finding the finish you love. 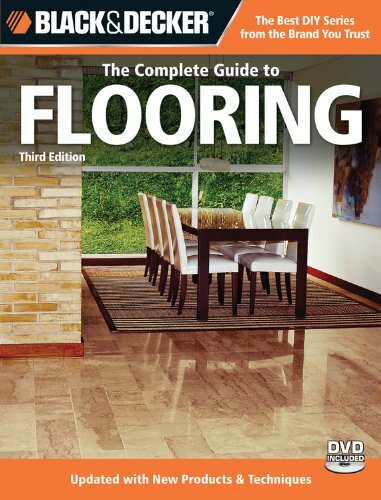 Shop smart and you will have flooring to enjoy for decades to come. You can follow the renovations of my new house to learn about my new flooring, and see what we pulled out of the house. Have you got a flooring project in your future? We'd love to hear what decisions you've already made and how we can help you. Thank you for mentioning that you shouldn’t let the installers talk you into leaving your baseboards alone and installing quarter-round to cover the edges of your boards because this is a short-cut for them and not an appropriate finish for your wood flooring. My husband just moved into a new home that’s very old and has super ugly and outdated carpet, so we want to replace it with hardwood floors. I will definitely keep your tips in mind of what to do when installing our wood floors! Jenny, I’d definitely buy some wood & test different colors to make sure you will love your new floor … for many, many years. We did this with stain (3 colors) for our cedar siding and glad we did it. I have never tried it but if I were to try it, I’d be sure to make every mistake that there is to make. Radhika, You want to avoid most mistakes while recognizing yes, you’ll probably still make one or 2. There are lots of books you can buy or videos you can watch, to learn what to do. My suggestion is to map this knowledge into a set of steps to follow, and the tools you need for each step … before you start. I prefer hardwood floors over carpets. It deserves effort though so that it would last for years. I think this makes a great guide! Elizabeth, I agree that wood wins over carpeting, but I’m now thinking about tile that looks like wood. That’s because I’ve seen the challenges of maintaining the wood. Wow great information! I’ve been wanting to do my floors so you’ve given me things to really consider beforehand. I leave the wood flooring up to experts. I wouldn’t know a thing about it. Thanks for the great tips. The home we’re in now was the first we’ve lived in that has wood floors. It’s been a whole new experience trying to figure out how to keep the kids from ruining them (right now rugs are the answer) and keeping them clean. I’m really glad to know this brilliant information.I didn’t realize that some wooden floors are bargains. What gorgeous floors. We want to put wood floors in at some point, but we’ll hire someone. Your articles are very helpful in decorating my home and I realized that sometimes what you want to put in your home should not be prioritized, there are other factors to consider before putting it up. Your floors are gorgeous! I’ve always had a thing for wooden flooring. It looks so classy and nice. And yes, major pet peeve with unfinished floors in a finished home. It just shouldn’t be done. I love wood floors they just look so great! I am not sure I could do DIY project like this but your tips are fantastic! Wood floors are so beautiful! I look forward to the day when we own our home and can do DIY home projects like these! I agree that there is a lot of thigs to consider in having a wooden floor. A lot of do’s and dont’s in keeping it but it’s elegance and sophistication will be worth the investment. My mom DIYed her wood floors and I can’t even imagine how much work it was. She wants to do the rest of the house, so I’ll send her a link to this! So true about wood not being good for the southwest. Our wood on our front door needs to be replaced often. We have wood floors, and they’re help up surprisingly well with our kids. We’ve found the bottoms of our chairs at our kitchen table do more damage than anything. We’ve put felt covers on the bottoms of the chair legs to prevent the scratches.